If you’ll be travelling along the northeast corner of the beltway during the evening hours this week, there are some important Thursday night closures you need to know about. The Maryland Transportation Authority is advising that the ramps from I-695 East (Inner Loop) to northbound I-95 and southbound I-95 will be closed overnight. The detour will direct motorists to eastbound US 40 (Exit 35B), to I-695 West (Outer Loop), to northbound I-95 and southbound I-95 (Exit 33). 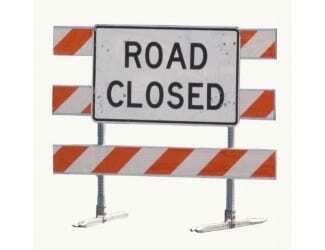 The ramp from northbound US 1 (Bel Air Road) to I-695 East (Inner Loop) will also be closed overnight. The detour will direct motorists to I-695 West (Outer Loop), to southbound US 1 (Exit 32A/Bel Air Road), to I-695 East (Inner Loop). Weather permitting, the ramp closures will occur Thursday, May 11th, from 10 p.m. to 5 a.m. on Friday, May 12th. Crews will be shifting traffic as part of the Maryland Transportation Authority’s (MDTA) I-95 Improvement Project with Express Toll Lanes (ETL). The project at the I-95/I-695 interchange will reconstruct and realign I-695 from US 1 to MD 7 (Philadelphia Road).